Hindus believe that life is basically a search, or a quest. One cannot expect to find all the answers to lifes deepest questions in one lifetime in a simple, easy to digest formula. It is a long, ongoing endeavor. Hindus believe that a search of this magnitude and importance takes an immense amount of time and energy and lasts likely more than one lifetime. Most Hindus struggle with the gospel presentation because it takes away the deep search of humankind, hinders spiritual progress, and ... See More impedes the evolutionary cycle of self knowledge established by nature and Hindu many gods. Christians, on the other hand, believe that one has to put his or her faith in Jesus Christ to be saved, and although Hindus do not argue with this teaching choosing rather to overlook it, they wonder about the concept of a continuing spiritual search that has been, according to their teachings, in progress for countless ages. This occurs through many lifetimes and life forms in the cycle of birth to death through reincarnation a quest for the ultimate, the final realization of Self the inner being, the eternal Atman within oneself, and which is the ultimate destiny of humankind. The final destination is becoming one with Brahman, the ultimate impersonal oneness. 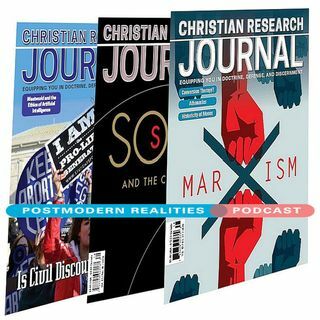 This Postmodern Realities Podcast episode is a conversation with JOURNAL author C. Wayne Mayhall about his Effective Evangelism article in Volume 41 1 called A Christian Response to the Hindu Concept of Spiritual Quest.